Renovation of the facades of the "Tour Saint Jean." The facades of the building, built in 1966, were no longer waterproof and offered no sunscreen. The building is not equipped with a cooling system. 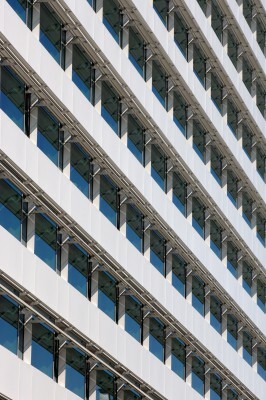 The first phase of work includes new facades with a high sun protection south side, made by two fixed visor and a high performance glazing (FS21). The work was done by holding the occupant in the building. 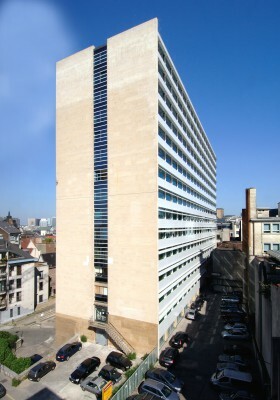 The extension of the office building "Hospi" offers it a door and alignment along the Hospi street. The building and offers a commercial ground floor and offices upstairs. 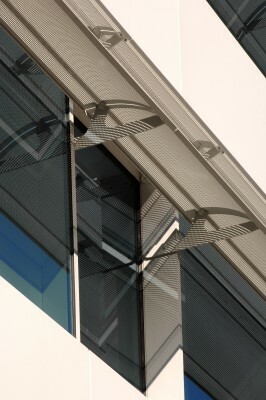 The entrance is marked by a volume of stone, "TeckWood" type, through the spider-glass frame and positioned to direct the entry towards the existing building.